In a New Year’s post five years ago, I wrote that one of the best resolutions you could make is to invest in yourself, to give yourself the time and the space - the permission - to develop relationships and skills that matter. Since then, I’ve been developing Working Out Loud Circles as a method for doing that, and Circles have spread to over 40 countries. 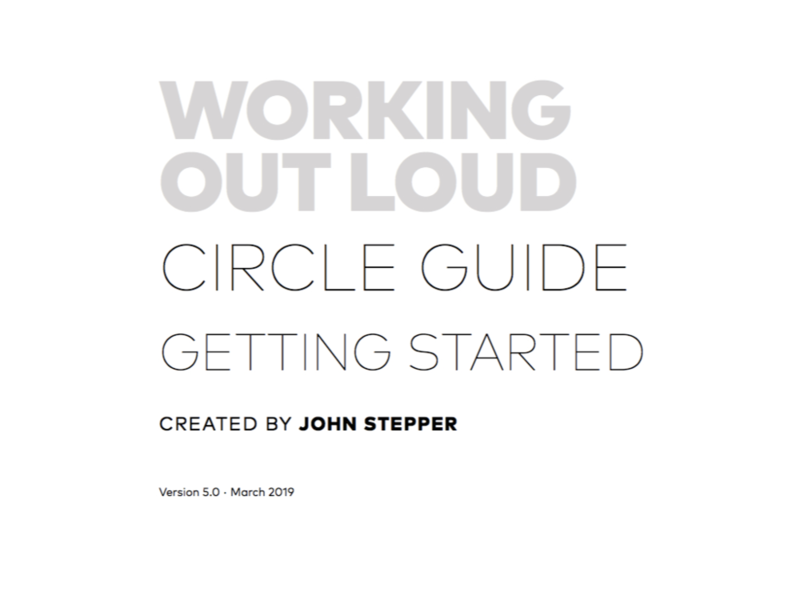 Today, I’m publishing a new and improved version of the WOL Circle Guides to make the method even easier and more effective. Thanks to the feedback from people who have already been in a Circle, I’ve been able to refine the guides and make this version the best one so far. The biggest changes include moving the exercises related to habit development earlier in the process, providing better examples, and updating several of the exercises and additional reading. 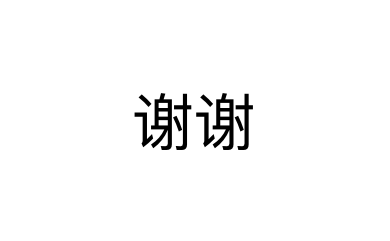 There are also improvements to the flow, the writing, and the formatting. Despite the changes, Circles already in progress should be able to use the new guides right away. 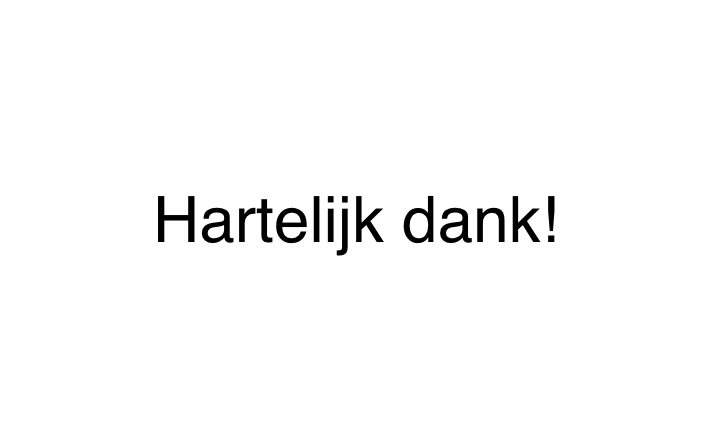 Also, a German translation should be ready over the next few weeks. 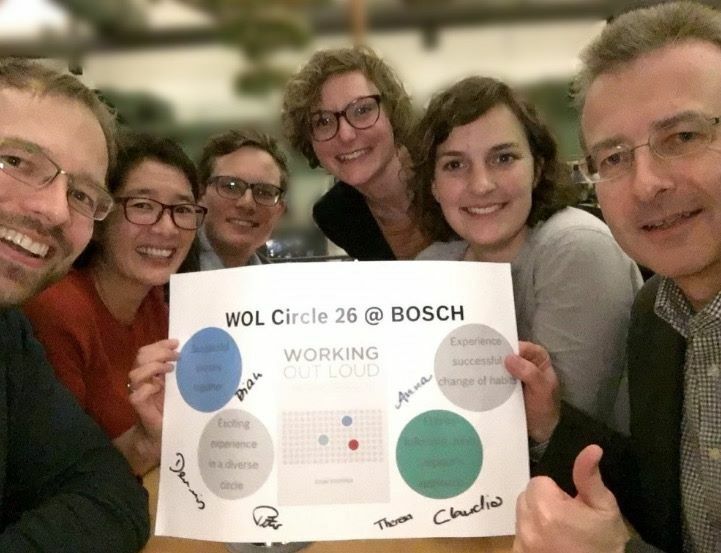 The WOL Circle Guides are free, and are issued under a license called the Creative Commons Attribution-NonCommercial-NoDerivatives 4.0 International License. (It means you can use the material and share it as-is, but you can’t change it or offer it as part of any for-fee product or service without explicit written permission.) Being free makes it easy for individuals and organizations to experiment and experience the benefits for themselves. Yet as Circles spread in an organization, or as the method is integrated into existing programs like on-boarding and talent development, many organizations want to tailor the guides. Now there’s an additional license, available for a fixed fee, that allows you to do this. In the past year, I've worked with customers who want to include their own goals, technology, examples, and brand into the guides. So if, say, you’re using WOL Circles to help new joiners be more connected and productive, custom guides can make it easy for those new employees to learn your digital tools while they discover people and content related to their job. If you’re interested in customizing the guides, contact me at john.stepper@workingoutloud.com. In addition to upgrading the Circle Guides, I’m working on a WOL Video Coaching Series and Circle Journal that will be available in the coming months. The video series gives you convenient access to all that’s in the guides plus coaching tips to help ensure you make progress. The Journal gives you a single place to do the exercises and capture your learning throughout the process, making it easier to reflect on how far you’ve come. Yet it’s such a simple process. You write down a goal, share it with a small trusted group, and take a few steps over 12 weeks to build relationships with people who can help you. Deciding to form a Circle might just be the best New Year’s resolution you ever made. What’s holding you back that you might be able to change?